Congratulations to Michelle & Brian!! I was so lucky to be able to assist this wonderful couple on their special day!! 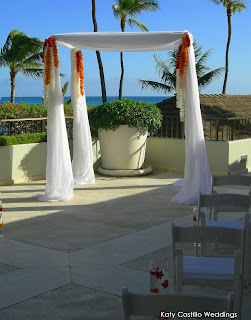 Michelle & Brian traveled to Hawaii all the way from Wisconsin, it was their first time to the islands! 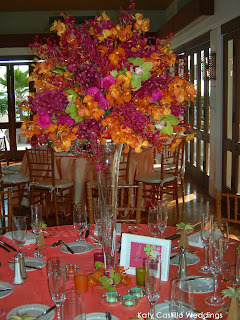 The reception & ceremony was held at the Hau Terrace, Halekulani Hotel. Here are a few pictures taken by my staff, professional pictures will be posted to my website gallery in the future. Special thanks to Yvonne Floral & Decor for creating the beautiful floral arrangements & Les Saisons for providing the fabulous linens.